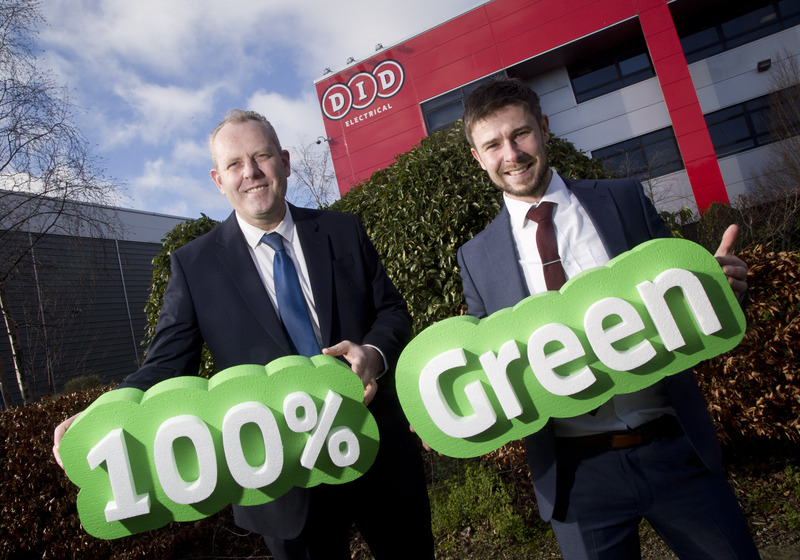 Leading Irish electrical retailer DID Electrical has signed a significant new energy and Lighting as a Service (LAAS) contract with Naturgy. The agreement will see Naturgy supply 100% renewable electricity to the retailer’s 23 outlets nationwide over a three-year period. The supply deal provides DID with access to the wholesale electricity market, 100% renewable electricity, market commentary, energy reports, access to regulatory and energy management support. Opening the doors of their first store in 1968 on Mountjoy Square in Dublin, DID Electrical has grown a reputation for offering expert advice and customer service to their customers. DID Electricals’ Mullingar outlet will also become the first to use LAAS which will see Naturgy design, install and maintain high-output premium-quality LED luminaires to increase the lighting levels in the store. Naturgy partners with Pro-Light as their preferred lighting solutions partner. Lighting projects can deliver energy savings of up to 70% – 80% compared to older lighting technologies and can greatly help to meet sustainability and energy efficiency targets. “Lighting as a Service is a perfect example of this as it provides businesses with a reduced cost of lighting, higher quality products and significant energy conservation and we know this will reflect in efficiencies for their Mullingar store”, added Mr Murphy.